Lauren Groff’s Fates and Furies, reviewed: The structural trick behind the two parts of her new novel. 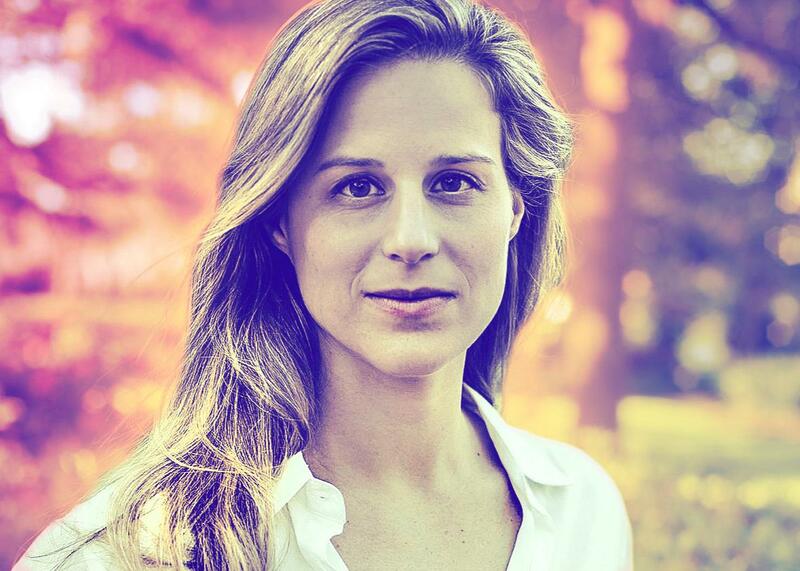 How Lauren Groff’s Fates and Furies brings two very different people—and novels—together. Photo illustration by Juliana Jiménez. Photo by Megan Brown. Joan Didion’s famous maxim, “We tell ourselves stories in order to live,” places no particular value on the type of story we choose to tell. Is your life a tale of a little guy triumphing over hardship, or a saga of back-stabbing and injustice? Perhaps your story insists that a few committed souls have the power to triumph over the Man or that nice guys finish last. Whatever narrative order you impose on what Didion described as the “shifting phantasmagoria … which is our actual experience,” it will not only color that experience but inexorably shape it. Fates and Furies, the new novel by Arcadia author Lauren Groff, depicts two lives, and each life is shaped by the kind of story favored by the person who lives it. Lancelot “Lotto” Satterwhite and Mathilde Yoder meet in college and wed two weeks later; they will be married for 24 largely happy years. Lotto fails as an actor in New York City, then succeeds, under Mathilde’s covert guidance, as a playwright. They live together intimately, but the stories they tell themselves about their relationship and how the world works are far, far apart. In a recent interview in the Oyster Review, Groff said she’d originally thought of Fates and Furies as two small novels (a little like Evan S. Connell’s Mrs. Bridge and Mr. Bridge), but publishing them separately proved impractical. So despite their differences, these halves, “Fates” and “Furies,” arrive united in a single binding, married, much as Lotto and Mathilde are. The novel is in many ways about marriage, as many critics have observed. But it’s also about something even more universal than love. Two people sharing the same home and what seems to be the same life can occupy entirely different planets, storywise; two very different short novels can, bound together, explore the way we use stories to get what we need to make sense of our own lives and others’. To explain what I mean, I’ll need to go deeper into the plot of Fates and Furies than the typical review might do. If you haven’t read this novel, and can’t abide spoilers, then by all means stop here, although you might first note that researchers at the University of California at San Diego found that readers of stories enjoyed them more when they’d been told the endings in advance. I think that’s even more true of Fates and Furies than it is of most stories; so consider sacrificing surprise, the lowest form of literary pleasure, for the much richer satisfaction the first half of this novel can deliver when read in light of the second. Yet that someone is more often than not Mathilde herself, as the second half of the book attests. Hers is a life governed by sheer will, and what a ferocious and unforgiving one it is. Lotto can’t believe his good fortune in landing Mathilde, “this gorgeous girl he’d magicked into wife,” while Mathilde knows that, frantic about her future on the eve of graduation, she set her cap for him after learning about his family’s money. She patiently outmaneuvered the competition and orchestrated a meeting under the most opportune circumstances. That she was attracted to Lotto, and soon came to deeply love him, was really just a side benefit. Here and there throughout the novel, Groff inserts little remarks in brackets; at first they seem like authorial asides, although whoever’s commenting refers to themselves as “we.” Their tone, always omniscient, shifts when the perspective flips. In Lotto’s half of the book, they tend to be predictive: “She would have a life on film, he knew it even now. [Yes, small roles, hers a small spark. ]” In Mathilde’s, they lean toward the vindictive: “When you’re least expecting it, I will explode your life. [Only fair; she had exploded his. ]” A reference to measuring a thread explains all: Lotto’s story is annotated by the Fates, the Greek goddesses of destiny, and Mathilde’s by the Furies, the goddesses of retribution. It’s easy to read “Furies” as a refutation of “Fates,” as the hard, wifely truth behind the golden facade of Lotto’s blessed ease. But living on luck has its terrors, because luck can always turn bad. Depression and the specter of suicide lurk at the corners of Lotto’s story, seeded by his adored father’s sudden, fatal stroke and the awareness that at any moment the bottom might fall out of the world. Mathilde shelters Lotto from the consequences of bad luck, but there is some ill fortune even Mathilde’s implacable determination can’t overcome. Lotto’s tale is a pleasant glide, despite its sprinkling of sorrows, and resembles any number of wry, fond, realistic literary novels about contemporary life. On its own, without those teasing intimations of Mathilde’s hidden self scattered throughout “Fates,” it would be unremarkable. Groff is an agreeable stylist, although she can lean too hard on her metaphors, reaching for idiosyncrasy. Unlike most writers of “lyrical” prose, Groff keeps her sentences short, often fragmentary, to generate a sense of momentum, moving the narrative briskly through even the more bizarre descriptions—“hot milk of a world, with its skin of morning fog in the window,” clouds like “blackberry jam”; it’s always weather that brings out the worst in this type of writer—before they can grate on your nerves. But wait, there’s more! In the course of her adventures, Mathilde will inherit a fortune. She will hire (and sleep with) a private detective and master of disguise, a young woman who is never named—but since she arranges to meet Mathilde on the Upper East Side, we might as well just call her Harriet. Mathilde will discover that an old friend has dealt her a grievous blow to satisfy a grudge nursed in absolute secrecy for decades. She will spend a sizable chunk of her inheritance to settle a score of her own, nursed for even longer. Then she sleeps with a young actor, who turns out to be … but I’ll leave you one surprise unspoiled. Lotto’s story is fairly plausible, a life that might transpire in the world the rest of us inhabit; Mathilde’s story contains more outlandishly fictional twists than those of David Copperfield, The Goldfinch’s Theo Decker, and Becky Sharp combined. Most of us live a life like Lotto’s, even if we don’t enjoy Lotto’s privileges; we play the cards we’re dealt, accept a certain amount of disappointment, and resign ourselves to letting many of the wrongs done us go unavenged. We aren’t the stuff that crackerjack yarns are made of. But people like Mathilde, people who refuse to take things as they are, who insist on shaping their own fates because the ones they’ve received cannot be tolerated—people like that generate stories the way spiders spin webs. They need to see the world as directed by human intentions and actions because they intend to redirect it themselves. As Mathilde sees it, everything good that happens to Mathilde comes about because of her own dogged effort; everything bad (well, almost everything) can be blamed on someone, and that someone can be made to pay for it. As chilling as this sounds, it makes Mathilde exciting to read about. The most entertaining stories let us step into a universe in which the lines of causality are clear and subject to human intervention and control. But as Didion pointed out, a story is only an interpretation we impose on the chaos of our own experience, picking and choosing what fits the narrative we prefer. Each comes with its own comforts and terrors, its own insights and blind spots. “Fates,” published alone, would have felt slight. “Furies,” published alone, would have seemed farcical. In binding them together and letting the parts reflect each other like distorted mirrors, Groff reminds us that while Lotto may live in a dream world, he’s not the only one.